As we hurtle to our deadline of March 25, 2018 for the European Union’s General Data Protection Regulation (GDPR) implementation, health care providers are quickly assessing gaps in their understanding of what is required by GDPR. A key area of concern is how the GDPR’s requirements compare to previous requirements under HITECH/HIPAA and FTC requirements. “Freely given,” under the GDPR definition, is focused on protecting individuals from an imbalance of power between themselves and data controllers. The limitations on health data use and authorization requirements are to help ensure the privacy of patients and protect their right to limit how their data is used. This protection has various applications, including how data is used for marketing purposes as well as when or if data can be sold. The FTC protects consumers from the imbalance of power between themselves and businesses providing services. They protect consumers, generally, with FTC Act § 5 powers. A service may involve multiple processing operations for more than one purpose. In such cases, the data subjects should be free to choose which purpose they accept, rather than having to consent to a bundle of processing purposes. Consent is not considered to be free if the data subject is unable to refuse or withdraw his or her consent without detriment. Examples of detriment are deception, intimidation, coercion or significant negative consequences if the data subject does not consent. Article 7 (4) of the GDPR indicates that, among other things, the practice of “bundling” consent with acceptance of terms or conditions or “tying” the provision of a contract or a service to a consent request for processing personal data not necessary for the performance of that contract or service, is considered highly undesirable. When such practices occur, consent is presumed not to be freely given. An Authorization must include a description of each purpose of the requested use or disclosure of protected health information. 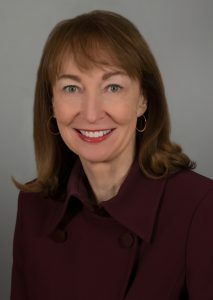 A covered entity may not condition the provision of treatment, payment, enrollment in a health plan, or benefit eligibility to an individual based on the acquisition of an authorization unless it falls under one any of the three enumerated exceptions, which are for psychotherapy notes, marketing or sale of Protected Health Information. Deceiving/ misleading customers about participating in a privacy program. Failing to honor consumer privacy choices. Failing to obtain consent when tracking consumer locations. A website or online service that is directed to children under 13 cannot collect personal information about them without parental consent. Under the GDPR, the right to withdraw consent must be as easy a procedure as the one that grants consent for organizations to be compliant. As a general rule, if consent is withdrawn, all data processing operations that were based on consent and took place before the withdrawal of consent—and in accordance with the GDPR— remain lawful. However, the controller must stop future processing actions. If there is no other lawful basis justifying the processing (e.g. further storage) of the data, they should be deleted or anonymized by the controller. GDPR recital 43 states the controller needs to demonstrate that it is possible to refuse or withdraw consent without detriment. The right to withdraw an authorization is similar to the GDPR right to withdraw consent. The Covered Entity, like the Controllers, has the responsibility of informing data subjects of that right. The revocation must be in writing, and is not effective until the covered entity receives it. In addition, a written revocation is not effective with respect to actions a covered entity took in reliance on a valid Authorization or if provision of a contract or service was conditioned on obtaining the authorization. For example, if a consumer is providing health information only to her doctor, she should not be required to click on a “patient authorization” link to learn that it is also going to be viewable by the public. And the provider should not promise to keep information confidential in large, boldface type, but then ask the consumer in a much less prominent manner to sign an authorization that says the information will be shared. Further, the health care provider should evaluate the size, color and graphics of all of their disclosure statements to ensure they are clear and conspicuous. [i] Working Party 29. “Guidelines for Consent under Regulation 2016/679.” Working Party 29 Newsroom, Regulation 2016/679 Guidance, November 28, 2017, 7-9 30. [ii] European Parliament, and European Council. “REGULATION (EU) 2016/679 OF THE EUROPEAN PARLIAMENT AND OF THE COUNCIL of 27 April 2016 on the Protection of Natural Persons with Regard to the Processing of Personal Data and on the Free Movement of Such Data, and Repealing Directive 95/46/EC (General Data Protection Regulation).” Official Journal of the European Union, Legislation, 119/8 (May 4, 2016). [Herein after GDPR Publication]. [iii] See, id at 119/33 for Art. 4 (7). [iv] Working Party 29. “Guidelines for Consent under Regulation 2016/679.” Working Party 29 Newsroom, Regulation 2016/679 Guidance, November 28, 2017, 21, 30. [v] See, GDPR Publication at 119/8. [vi] Working Party 29. “Guidelines for Consent under Regulation 2016/679.” Working Party 29 Newsroom, Regulation 2016/679 Guidance, November 28, 2017, 10, 30. Joan M. LeBow is the Healthcare Regulatory and Technology Practice Chair in the Chicago office of Quintairos, Prieto, Wood & Boyer, P.A. 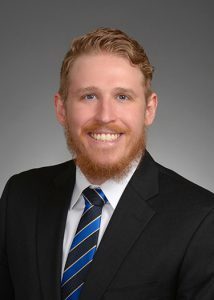 Clayton W. Sutherland is a Class of 2018 graduate of the IIT Chicago-Kent College of Law.